BFGoodrich Mud-Terrain T/A KM3 has been built through experience ... earned on the trail. BFGoodrich Mud-Terrain T/A KM3 has been built through experience ... earned on the trail. The KM3 has better mud traction than its predecessor. 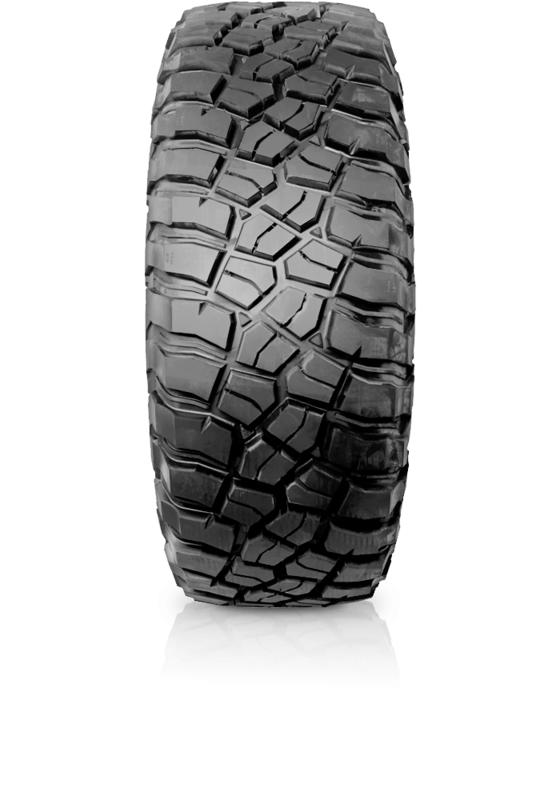 The tread pattern includes massive tread blocks designed to deliver incredible grip from any angle. With an advanced compound this tyre offers better traction that enhances grip on rock and other slick surfaces. Being created to conquer the KM3 can take on the toughest off-road challenges with extreme sidewall protection, pinch shock resistance and chip tear resistance on gravel. Enhanced technology put into the tyre helps prevent against splitting or puncturing and with increased thickness protects the critical sidewall failure zone.